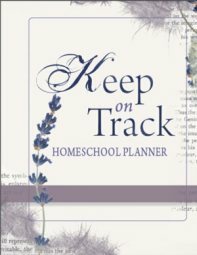 How do you teach homeschool history using a Chronological Approach? A Chronological Approach to History means that whatever way you decide to teach history, you will start at the beginning and move to the present day. Chronos means Time in Greek, so when we think of Chronology, we think of time-lines, sequence, order, beginning, moving from B.C. to A.D. 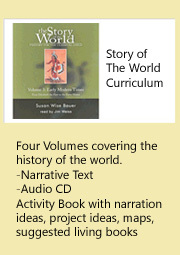 The easiest way to work in a chronological approach to history is for ALL the children to study the same time period at the same time, but at different levels-focussing on the same events and characters (mostly), but studying them in varying degrees of depth. 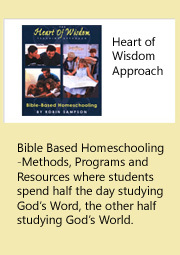 This is what we have done in our homeschooling family for many years. Two great resources come to mind which help to see the big picture overview. One is the The Timetables of History which is an amazing book which goes through the each year chronologically and lists the History/Politics; Literature/Theatre; Religion/Philosophy; Visual Arts; Music; Science/Technology; Daily Life. It links people, events and what is happening across the world year by year. The other favourite of ours is the The Timechart History of the World which folds out to be an amazing time-line. So much details and so visual. Something which comes out again and again! 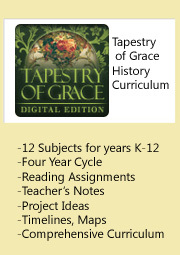 Is it important to teach history chronologically? There would be some who argue that you must study history in a chronological way for the child to have an understanding of how everything fits together. I agree that at some time in the child's education, they should see the big picture and have a clear understanding of the scope of history and the time-periods. This can be done by using a chronological approach to history. However, I think that you could choose to keep the study of history to interest-driven thematic units for primary years or for a few years at least, and then pursue a chronological study of history. 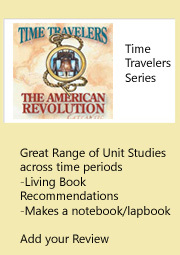 So, in short, I agree that studying history chronologically makes sense, but at the same time, you will not ruin their education if you teach history using some thematic unit studies. Year 1-4: Thematic Units- based on interests; Develop a love for history and reading while you focus on their character development. Years 5-8: Chronological Study- once through history- focusing on events/characters/wars/making some connections. 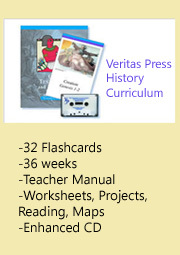 Use these free notebooking pages for history. 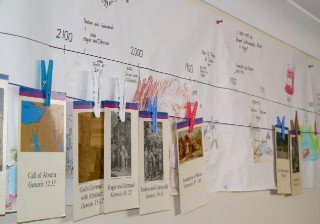 Years 1-6: Chronological Study of History- once through all the historical time periods; Focusing on events, characters, wars, famous men and women, cultures, and so on. 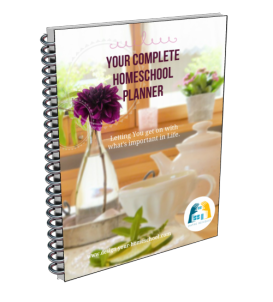 This is the time to strengthen their love of history, and reading, as you primarily work on their character development. Year 7-12: Chronological Study of History- second time through all the historical time periods; Focus shifts from factual events and stories to the how and why; Making connections of how the belief system of a culture is related to the actions of the people at the time; why wars happened; moving to philosophical readings and evaluating them against scripture. Discussion is crucial at this point to develop critical thinking and analysis. 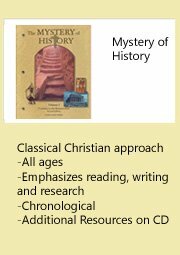 Years 1-4: Chronological study of history- once through all the historical time-periods. Enjoy the stories and give a general overview; Get the general picture. The main focus of this young age is character development and all of their studies can be the vehicle used to help us train them in obedience, persistence and diligent work habits. 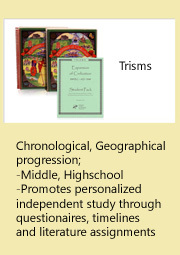 Years 5-8: Chronological study - second time: more in depth study; re-visit the time-periods again, focus can be more in depth; Begin making connections. 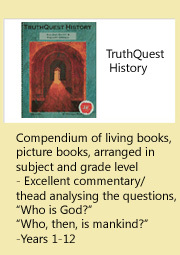 Years 9-12: Third time of chronological study through history: The goals are to teach this age group to think clearly about events, philosophies, characters in light of the Bible. The three tools are reading, writing and thinking. More in depth discussion. Having created a love of History, one may consider using the interest, building upon it, researching and writing about it! 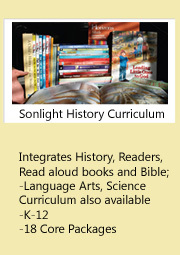 Make history come alive with history days, living books history and history project ideas.